Guy Fieri chatted with the ladies of The Talk about his distaste for using gloves in the kitchen.... a topic he evidently feels very strongly about. "I understand what they're trying to do. They're trying to make safe food. People are worried bout food borne illness, they're worried about this cross-contamination that happens," he said. "I really can't say I'm down with it. I mean, I believe in the concept and I believe in the direction. But I don't believe we understand what the glove is gonna do. I think people think they put on the gloves and its like, 'I have magic gloves on, and no contamination will happen.' And then they're picking stuff up and doing stuff, you can't go wash your gloves. So what are people more likely to do? Wash their hands when they contaminate a hand, or change the glove? They're not gonna change the glove." 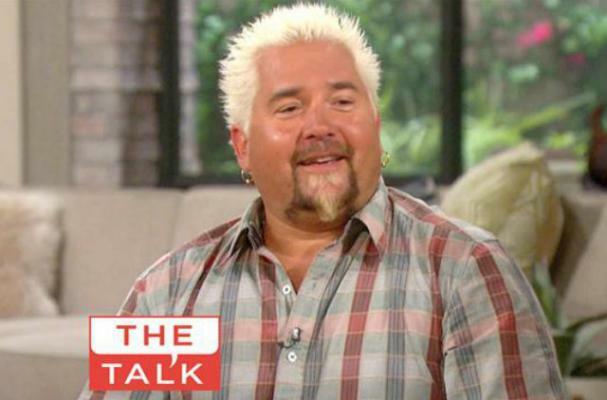 Watch Fieri on The Talk below!